The Indian supermarket will add 4,000 square feet to its current space. 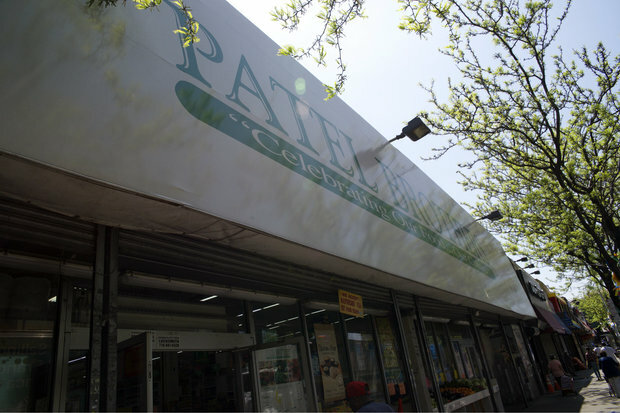 JACKSON HEIGHTS — Indian grocery store Patel Brothers is planning a renovation and expansion at its 74th Street location that will feature a larger produce section and wider aisles, according to its manager. The 7,000-square-foot store, which opened at 37-27 74th St. in 1984, will grow by another 4,000 square feet by taking over the former Mumbai Grill next door, manager Dapash Patel said. The owners wanted to create more space in the busy supermarket, which is known for its authentic Indian groceries, spices and imported food. "This is too small," Patel said. "It's getting a little crowded." The expansion should be finished in August, and will create wider aisles and a larger produce department and frozen food aisle, according to Patel. The store will stay open during construction, and its existing space will also be renovated once the expansion is complete, he said. The Patel brothers opened their first supermarket in 1974 in Chicago, and now have 53 locations across the country.